Concordia University Oregon Women’s Soccer Spring ID Camp is inviting all high school female soccer players. This camp is ideal for those who aspire to play at the collegiate level. It will be on May 20 at the Hilken Community Stadium. The program will start at 10:30 AM and end at 4:00 PM. It will be a day of challenging yet fun soccer experience. Attendees will have the same training sessions that the university varsity soccer team uses. Participants will also get to know the university soccer coaches and its current players. The team that competes in the Great Northwest Athletic Conference, NCAA Div II. In addition, each registration includes a camp t-shirt and a Nike soccer ball. Concordia University Oregon is a private, liberal arts university in Portland, Oregon. It is an affiliation of the Lutheran Church–Missouri Synod. It is also a member of the Concordia University System. The university is a non-profit institution with 4 colleges and 18 majors. Currently, its undergraduate student population is around 1,300. It has an accreditation from the Northwest Commission on Colleges and Universities. Moreover, the university also offers graduate programs. Among the popular graduate programs are Master of Arts in Psychology and Master of Education. Concordia University Oregon has 13 intercollegiate sports teams. They call themselves the Cavaliers. White and blue are the university’s official colors. Leading the Concordia Oregon women’s soccer team is Head Coach Grant Landy. Under his guidance, the Cavaliers has already 3 NAIA Regional I championship and a NAIA National title. The team has also 18 conference championships with Coach Landy at the helm. Furthermore, Coach Landy is a 9-time CCC Coach of the Year awardee. He is also the 2013 NAIA and NSCAA National Coach of the Year. Then, the team’s assistant coaches are Jon Kiester, Rob Warnell, and Maureen Fitzgerald. Finally, completing the coaching staff is Ashley Ames the graduate assistant coach. 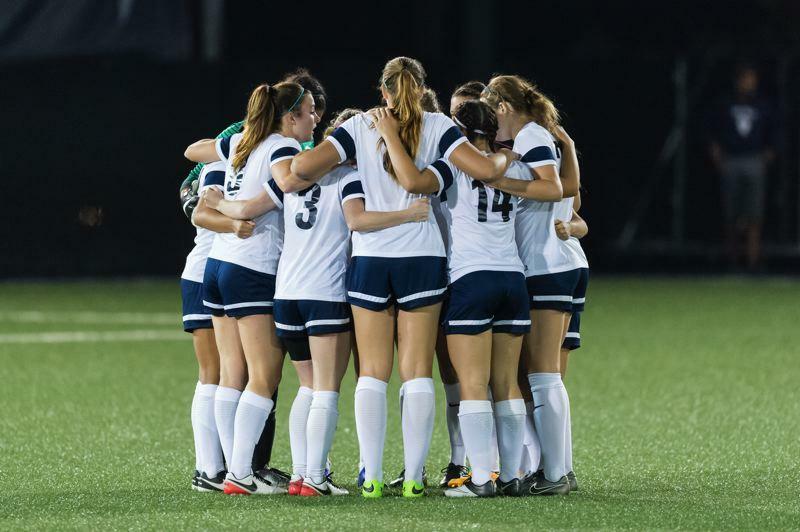 Concordia University Oregon Women's Soccer Spring ID Camp will be a day of challenging yet fun high-level soccer experience.